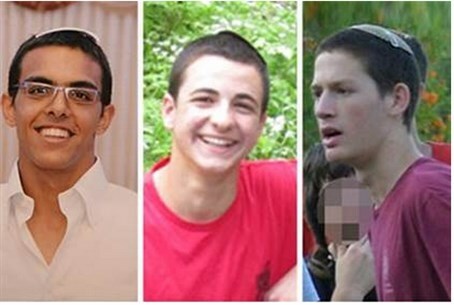 Zo Artzeinu vows mass orchard project in memory of three Israeli teens, fallen IDF soldiers - to counter Hamas terrorism. 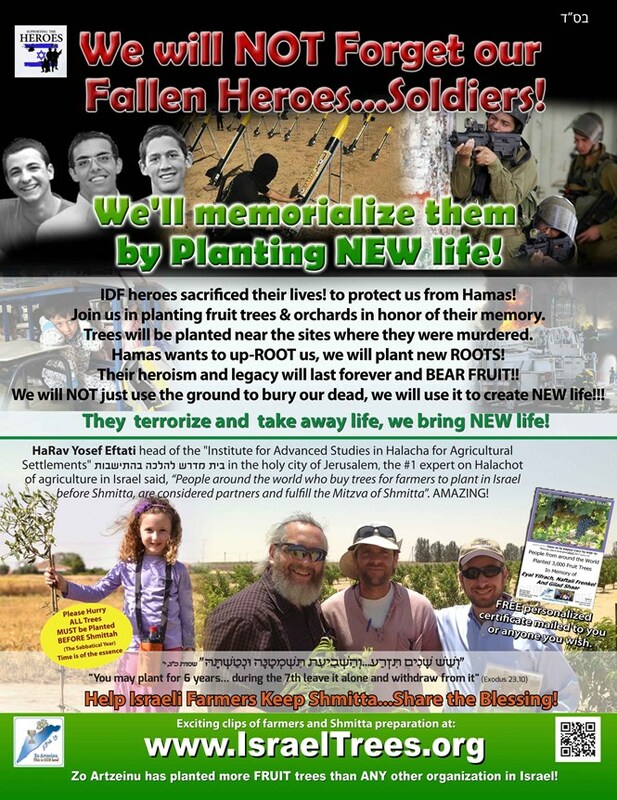 Zo Artzeinu, an organization which plants fruit trees in Israel, has vowed to plant a special orchard on Friday - both in the memory of murdered teens Naftali Frenkel (16), Gilad Sha'ar (16), and Eyal Yifrah (19), and for the lives of Israel's fallen soldiers. The organization has vowed to plant 3,000 trees in memory of the murdered teens, as well as 100 trees per fallen soldier. Sixty-one soldiers have been killed so far since Operation Protective Edge began 25 days ago; the total number of trees to be planted tops 9,000. "Hamas wants to uproot us from the land, and destroy livelihoods - including that of southern Israeli farmers," the organization stated, in a press release. "We respond by planting new roots in the ground and thriving." "They murder, terrorize and take away life; we will show the world that we remember our soldiers and boys," it continued. "Their names and heroism will last forever and bear fruit." "We will not just use the ground to bury our dead, we will use the ground to create new life," it added. The organization emphasized that all of the trees will be planted by Jewish farmers according to Jewish agricultural laws, including the seven-year sabbatical shmitta year. The project is endorsed by Rav Yosef Efrati head of the Institute for Advanced Studies in Halacha for Agricultural Settlements and former assistant to Rabbi Shalom Elyashiv.